While we wouldn’t say that cleanliness and pets are related to one another, to think that having an animal inside your home will make it dirty is a huge mistake. They might not have the same standards as we do when it comes to neatness, but pets care about us and if you train them right and take certain steps, you can certainly keep your living space very tidy. If odors and filth are your biggest grievances and you want to find a way to make your rooms smell of fresh flowers rather than wet fur, take a look at some of our tips that will help you keep your home nice and clean. Fur is probably the first thing you’ll want to tackle if you have a pet that sheds a lot and tends to leave hairs seemingly everywhere. A good vacuum can really make a big difference, and you want to get the kind of model that you can easily whip out every few days or once a week to deal with all the fur. Look for a vacuum that uses a canister that’s easy to empty instead of utilizing bulky bags, and try to find something light and cordless with enough suction power to clean both rugs and furniture. Another thing you want to invest in is a lint roller—have several of these lying around so you could quickly brush away fallen hairs before heading out. It’s important to air out your house by opening the windows in the morning and in the evening, but instead of using fresheners that could potentially be toxic and harmful both for human and animal health, rely on a purifier. Placing a good air purifier in your living room will neutralize odors and even help filter dander and other allergy-causing particles. Get something that has quality filters to make sure it runs with efficiency and you’ll make your life a lot easier. It’s very hard to keep your home clean when your pet is dirty, so make sure never to neglect their own hygiene. Smaller pets can be washed in a sink or a basin, and some will need to be washed in a bathtub. How frequently you need to bathe them will depend on several factors: their coat length and thickness, whether they spend time outside or not, whether they have a skin condition, their grooming habits, and their activity levels. Furless animals such as tortoises don’t need washing unless it’s to deal with a skin condition, the same goes for very tiny pets such as guinea pigs or hamsters. The rule of thumb is to generally wash your pet when they start to smell, but it’s best you consult the vet so they could give you more specifics. Besides washing, you should also brush cats and dogs regularly to keep their coat shiny and prevent fur from getting all over the place. If you have a cat, quality litter is another thing to have in your home to help you neutralize odors. Find the kind of cat litter that will be easy to scoop and won’t track all over your floors, and clean it out regularly. 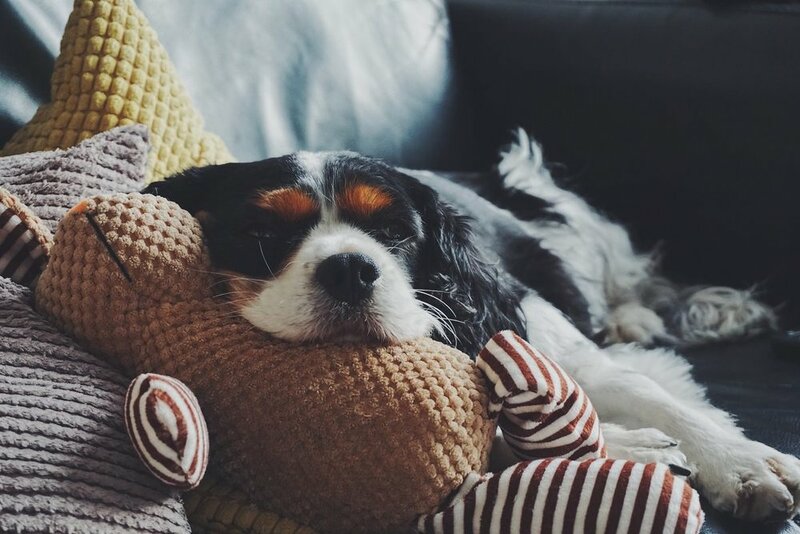 Pet toys are a great way to keep the animal entertained, but they do catch scents and can end up stinking to high heavens if you don’t wash them. You don’t have to do it often, but do give them at least an occasional rinse. The same goes for food bowls. Rather than having to wash and scrub the whole couch, it’s easier to use throw blankets to keep your furniture safe. You can also spread them over your sofas and even your bed in case you allow your pet to climb it. Throw blankets can easily be put into the washing machine, so find some stylish ones to match your décor. When your dog pads inside after a walk and a roll in the mud, you want to have a towel there to wipe their paws before they drag the dirt all over your carpet. Keeping them clean this way is a good way to make sure they stay healthy and it’s a good opportunity to check for ticks on their skin. A towel is also handy for other pets, too—top wipe them down after a bath, or to help clean up any accidents. Bad pet food is one of the biggest culprits for nasty odors. Feed them only with high-quality foods, avoid giving them table scraps, and make sure to check how your pet responds to a certain diet before pushing them to keep eating it. A little dirt is a very small price to pay given everything our pets do for us. Use these tips to keep your home fresh and clean, and enjoy being a responsible pet parent.